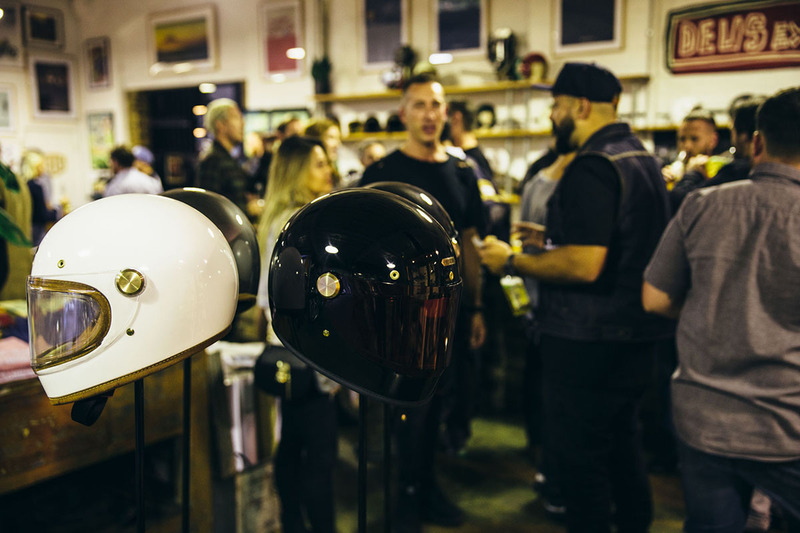 Last night saw the Australian premiere of the much anticipated and drooled over new helmet from Hedon, the tantalisingly named Heroine. 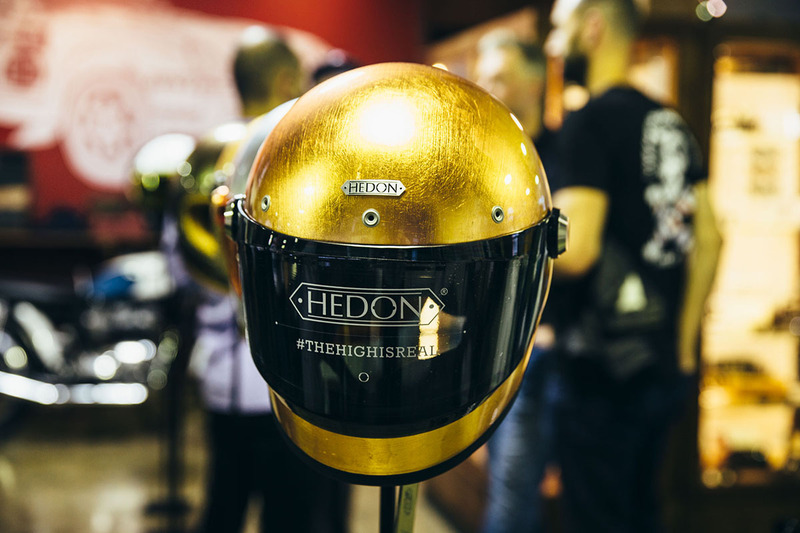 The first full-face range from a truly decadent brand was on display in an array of remarkably tempting finishes that would have your bank account sweating. 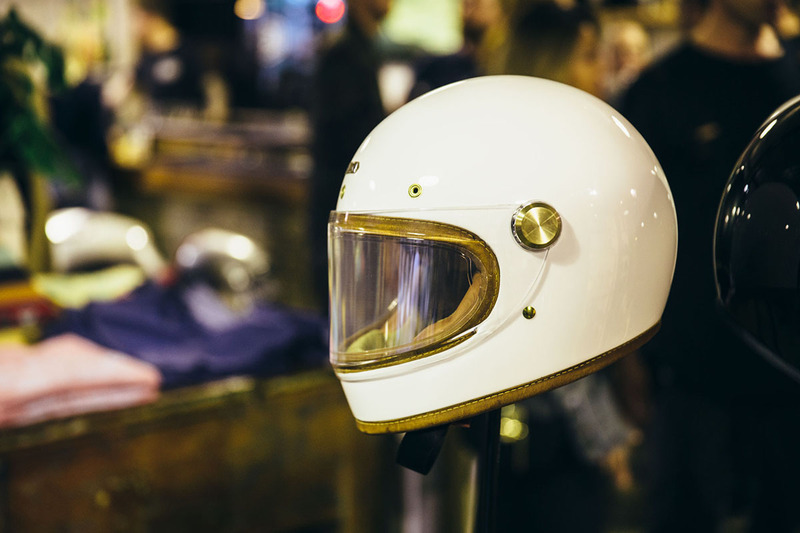 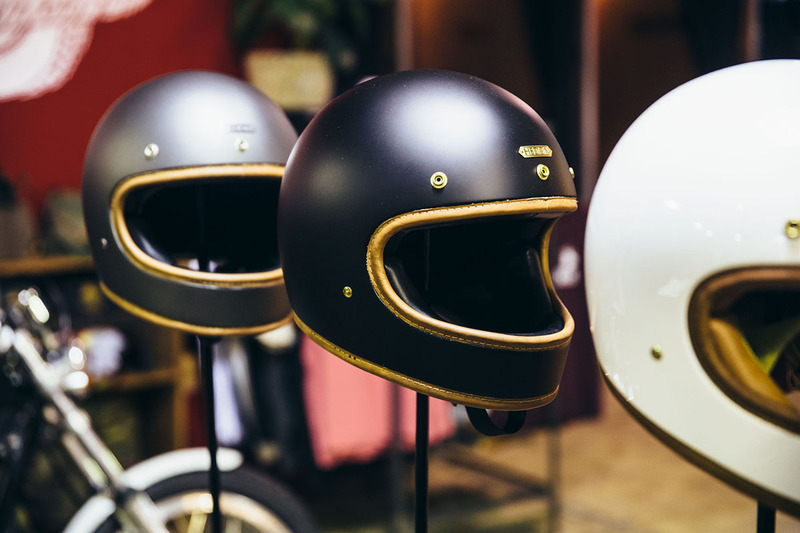 The very exciting brand has been making great strides over the past years in producing incredibly luxurious and unique helmets that are for those with a lust for style and handmade quality. 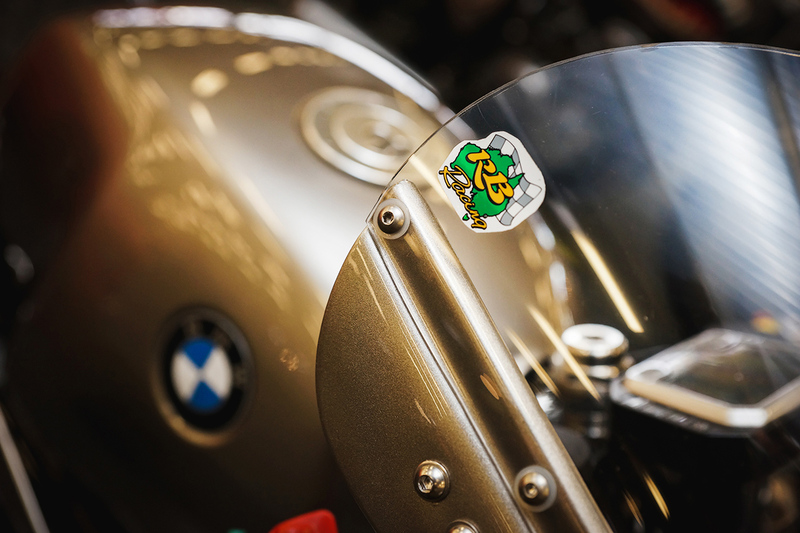 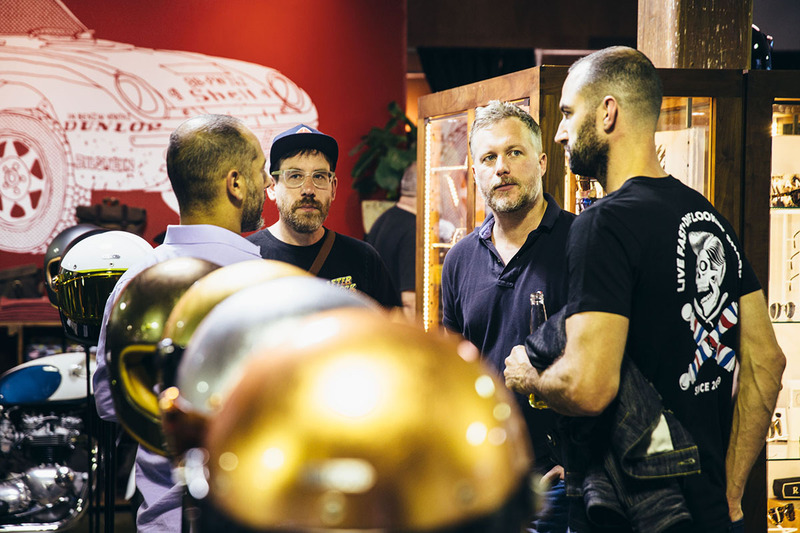 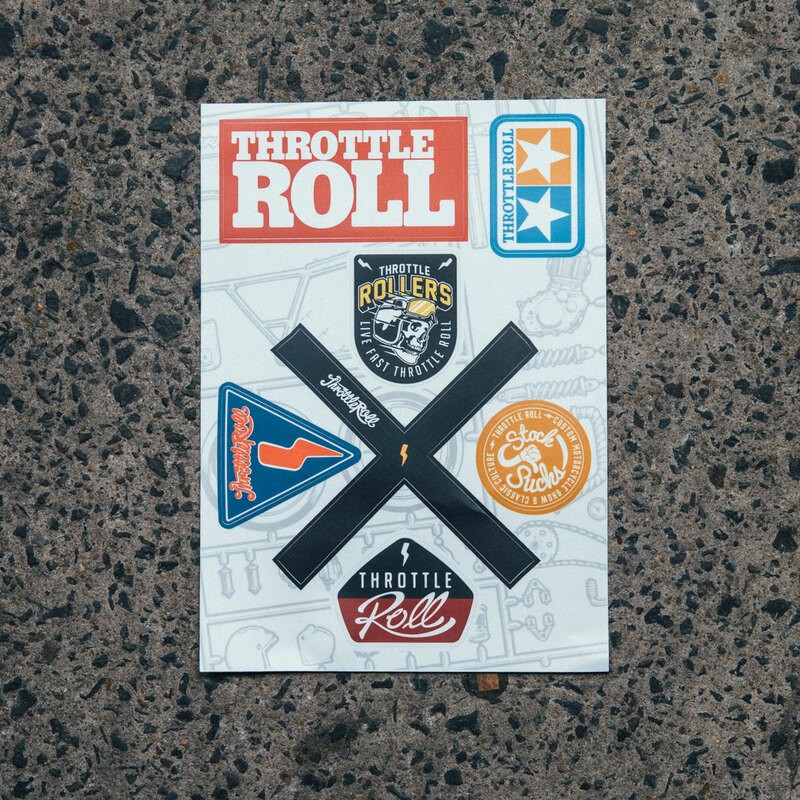 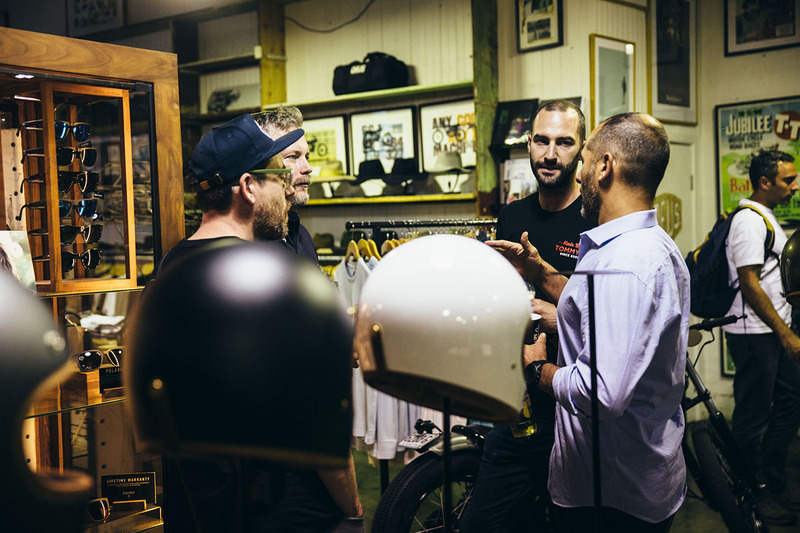 Pairing up with The Distinguished Gentleman’s Ride as a major sponsor in 2016 meant that these lids have been getting even more exposure across the globe, with some limited edition models being created for top prize winners which no doubt have prize of place in homes across dozens of countries. 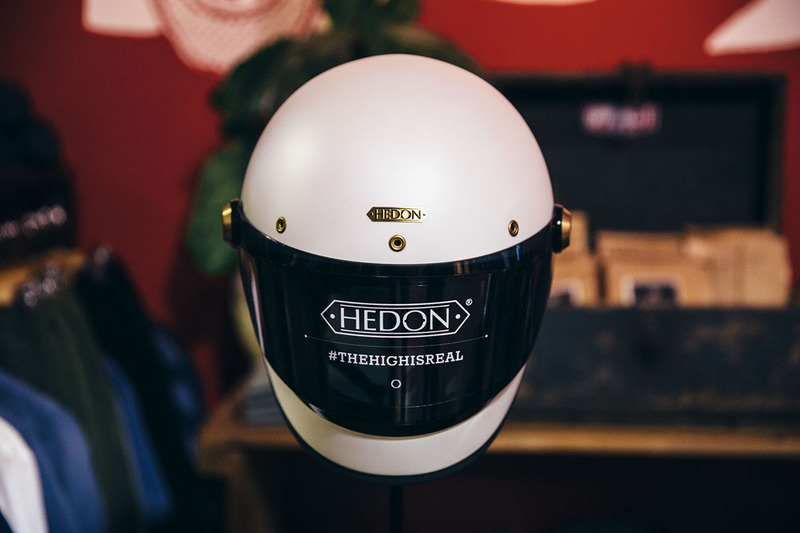 This new release, the Heroine, is the first full-face bucket from this boutique brand. 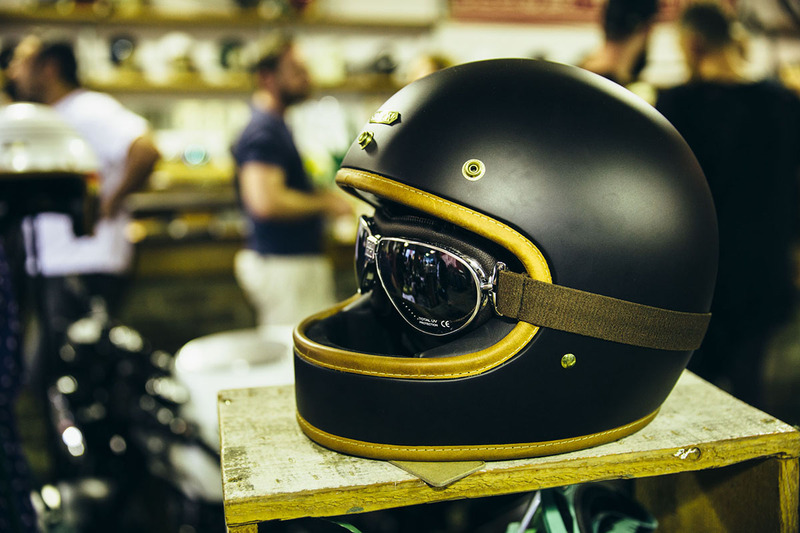 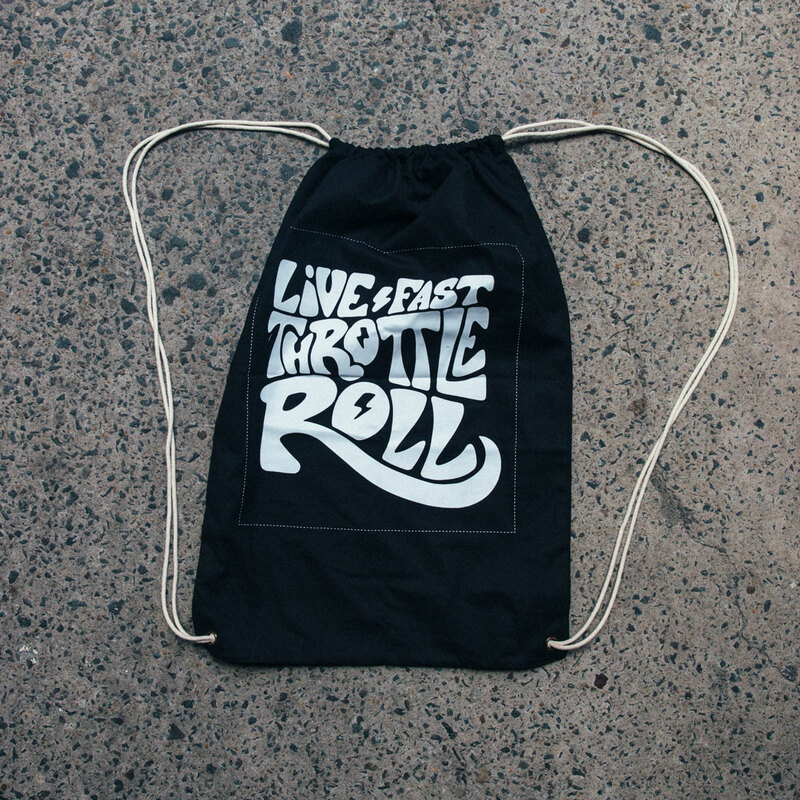 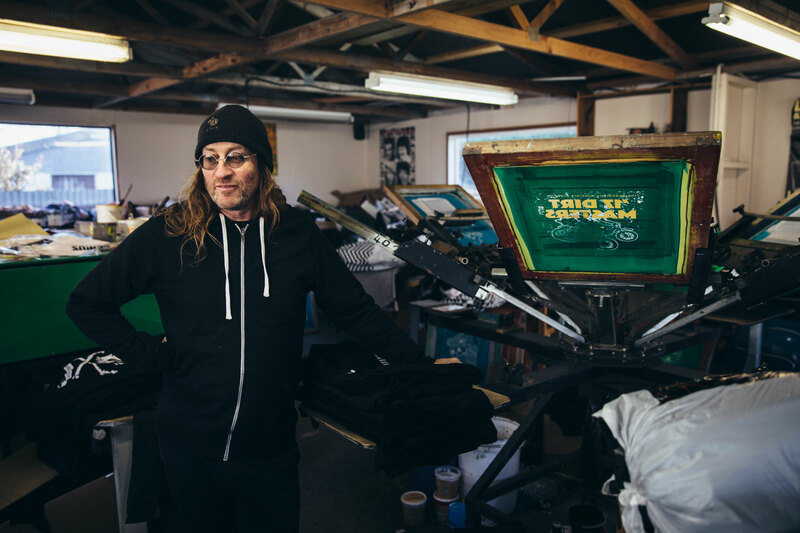 They’re exactly what many punters, particularly in the custom and classic world, are after. 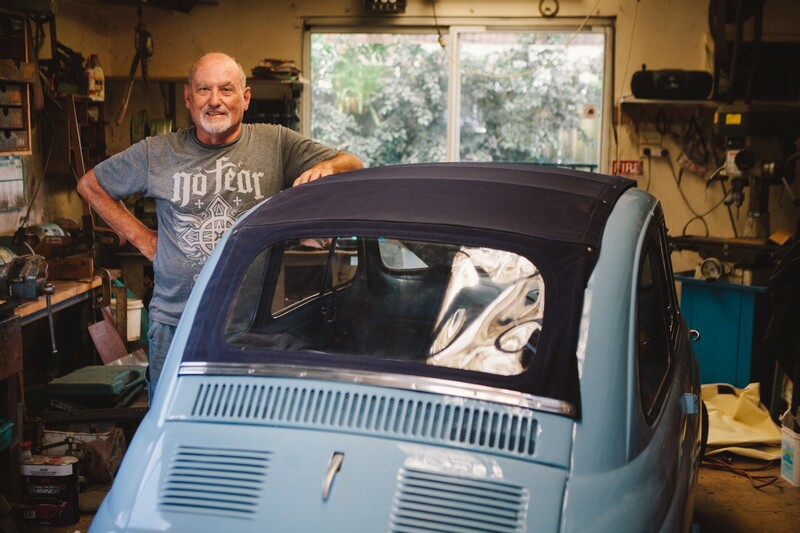 It’s retro/classic body is simple, tried and true, and bloody stylish. 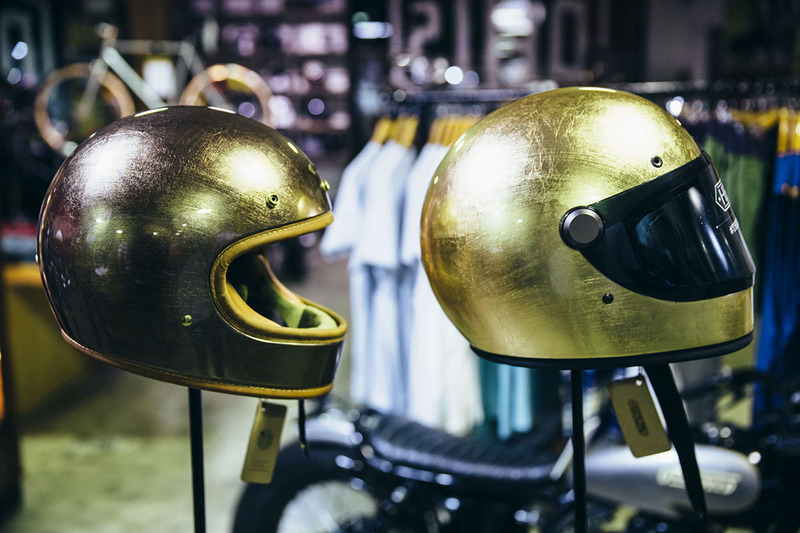 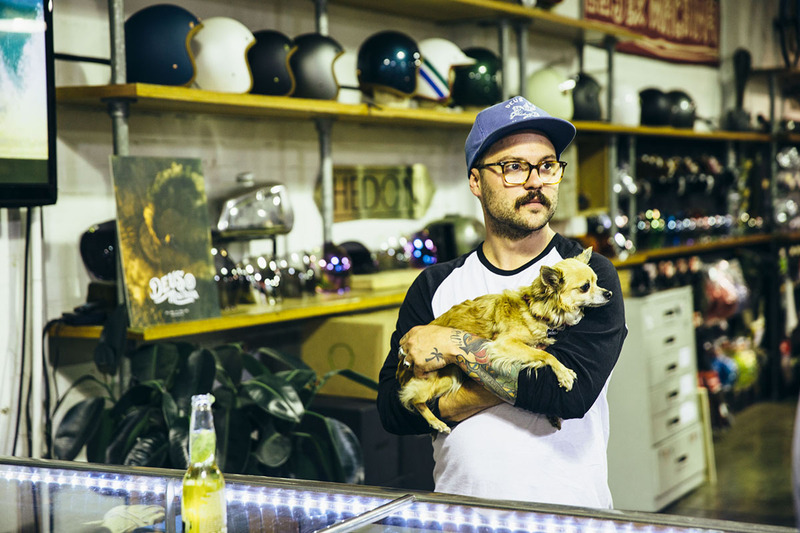 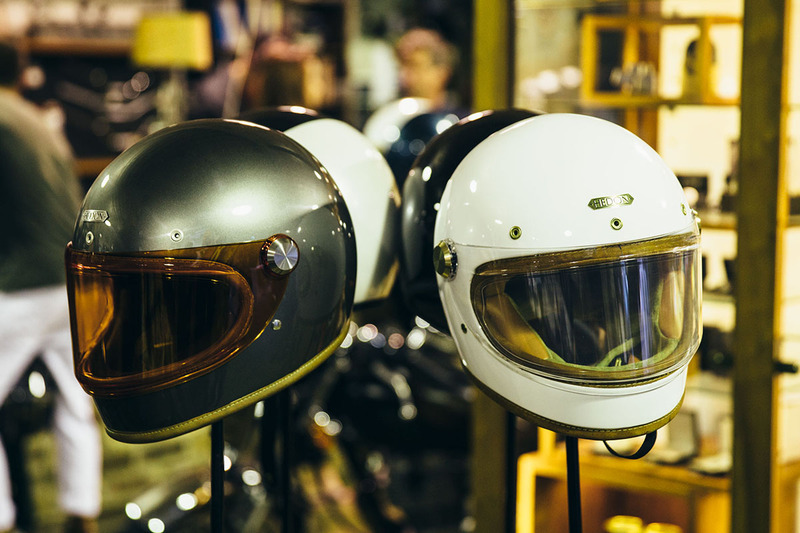 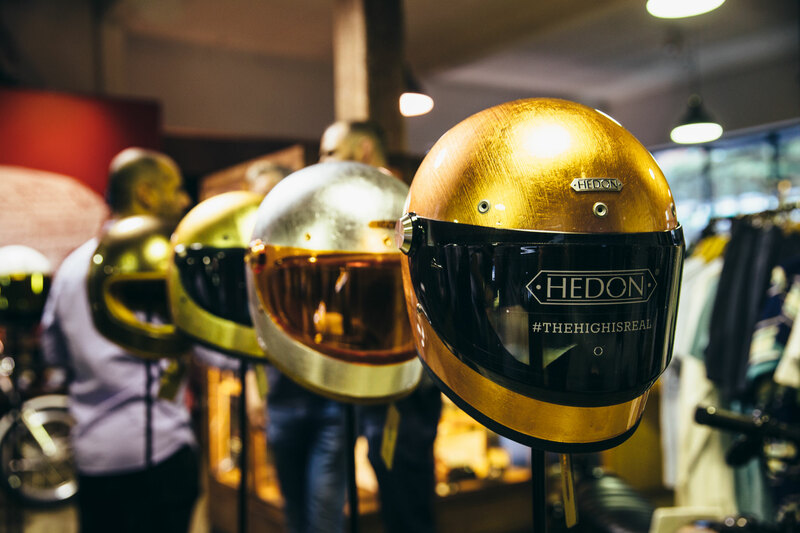 As soon as you pick up one of these helmets, indeed any from Hedon, you see what sets them apart from many other brands. 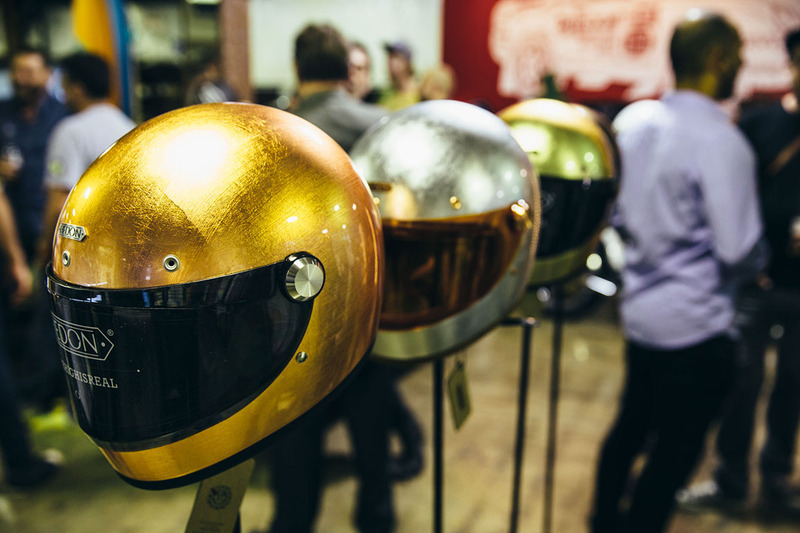 The blend of exotic materials makes these handmade helmets little pieces of art. 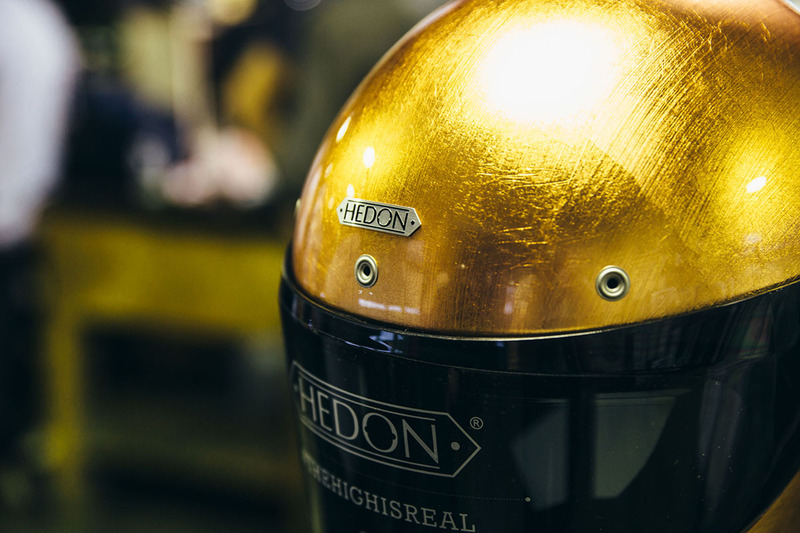 The gold flake finish on one particular model was all too tantalising. 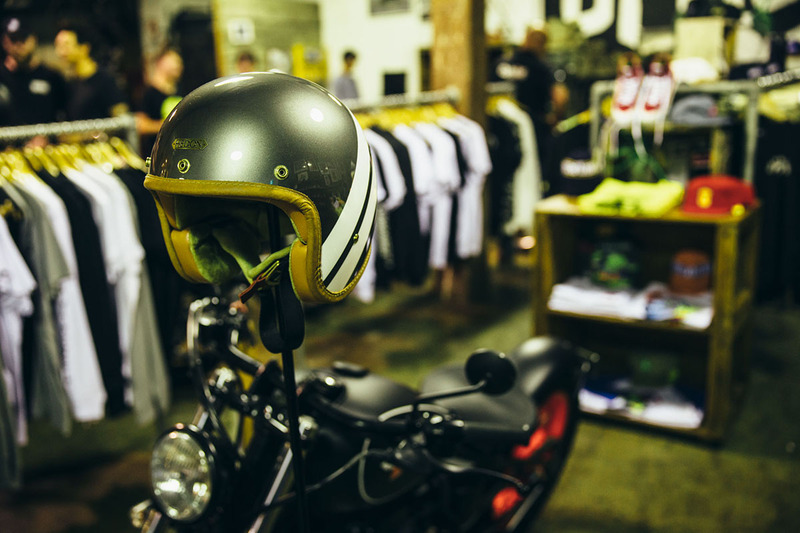 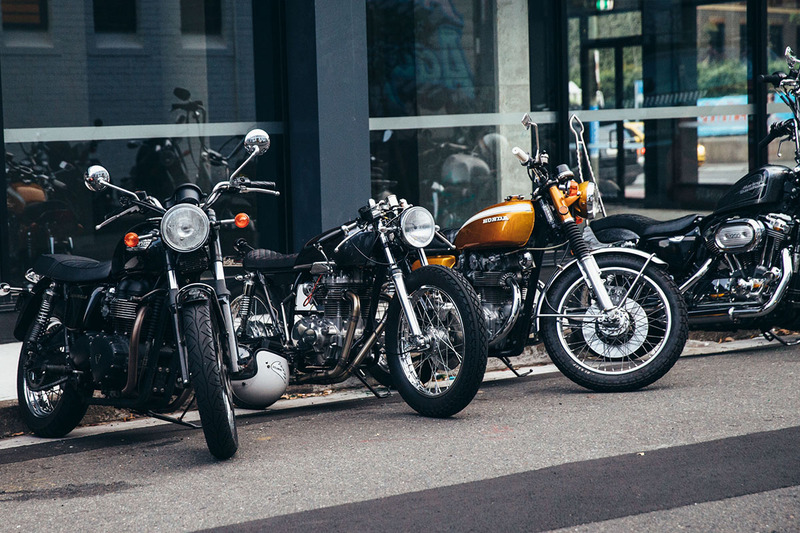 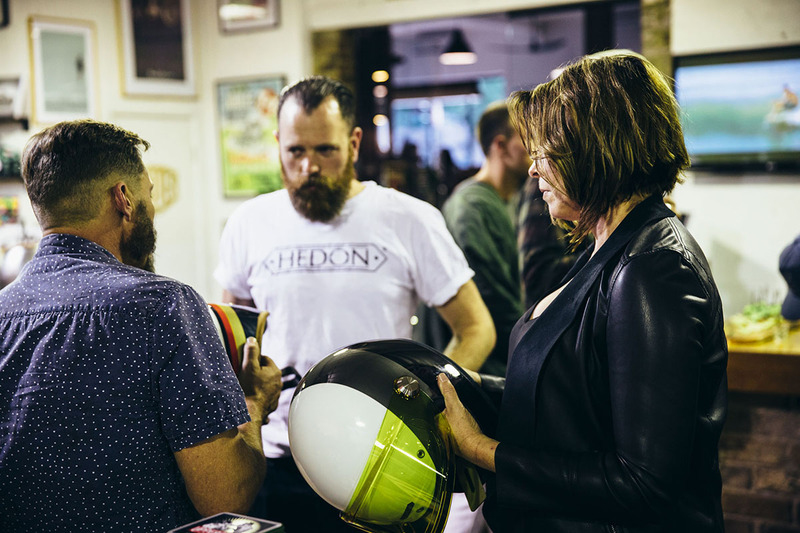 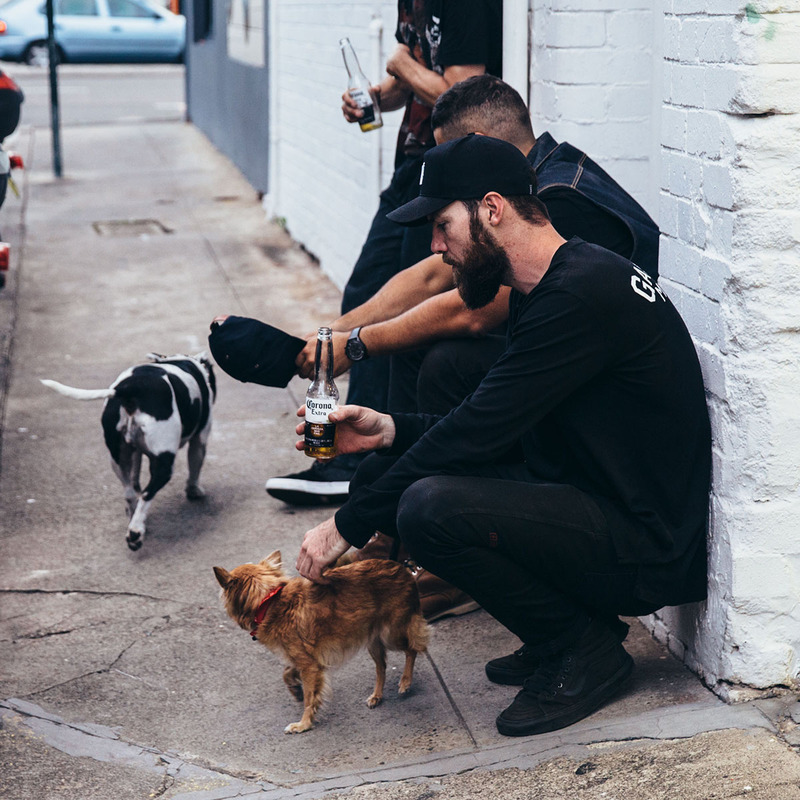 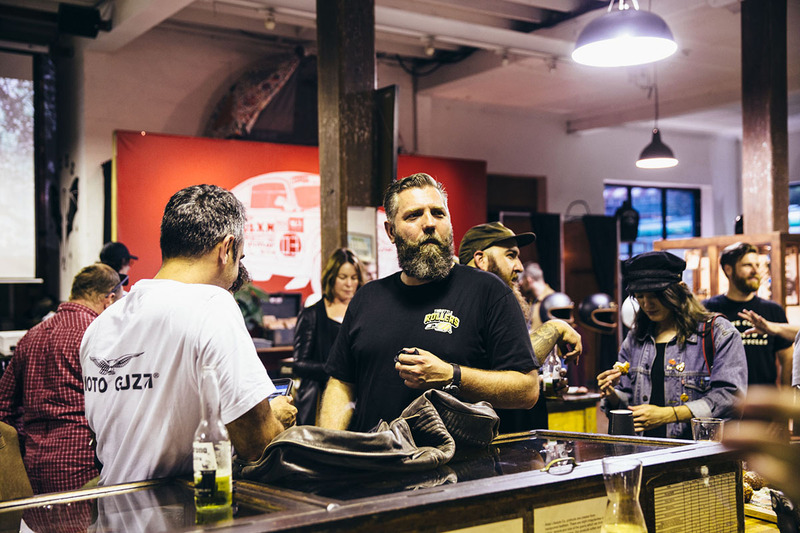 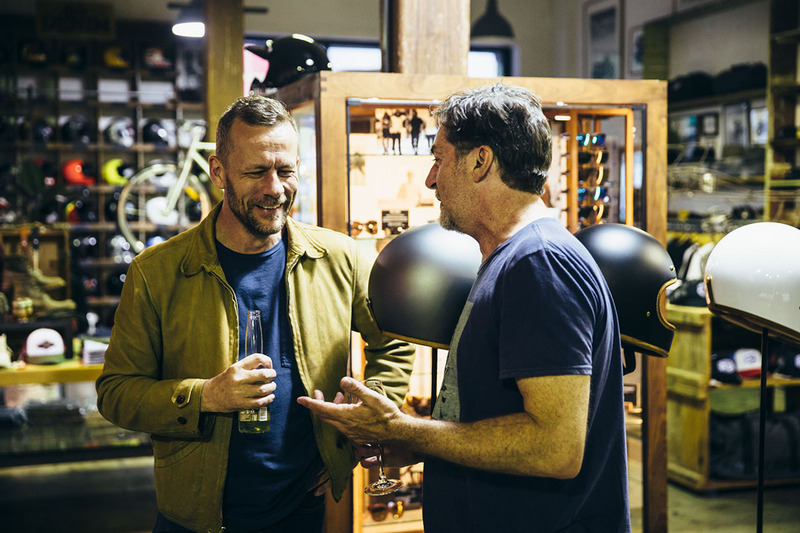 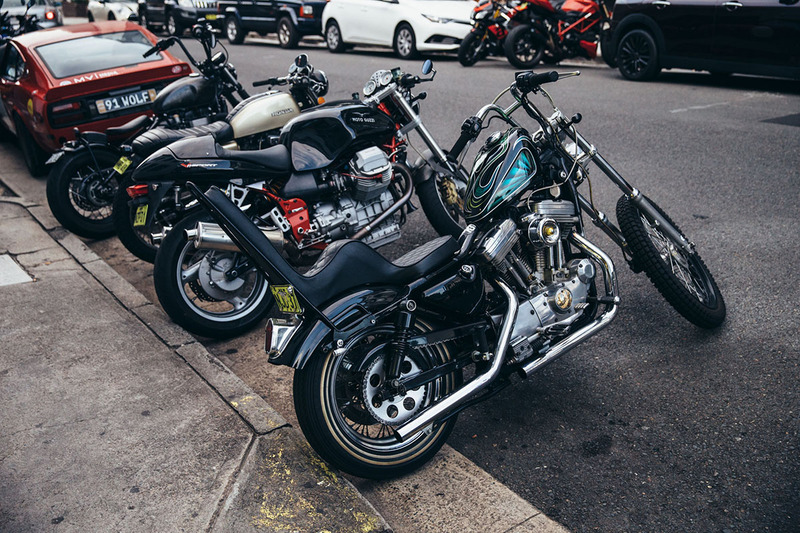 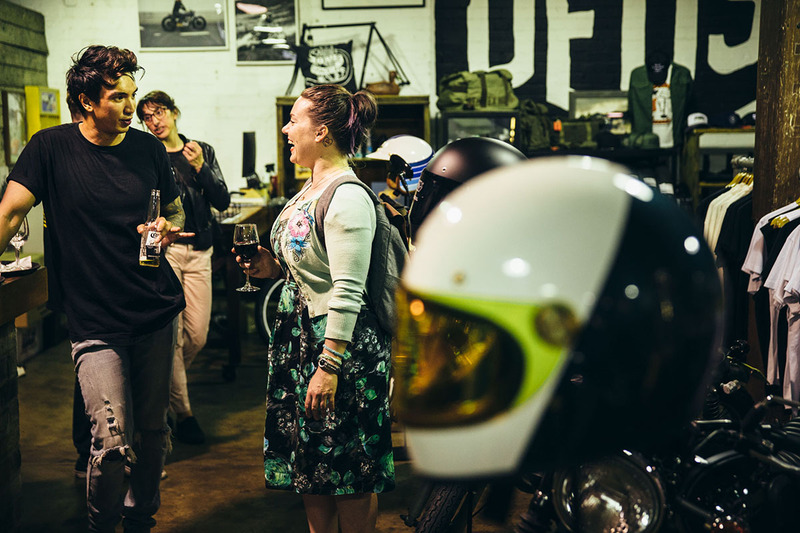 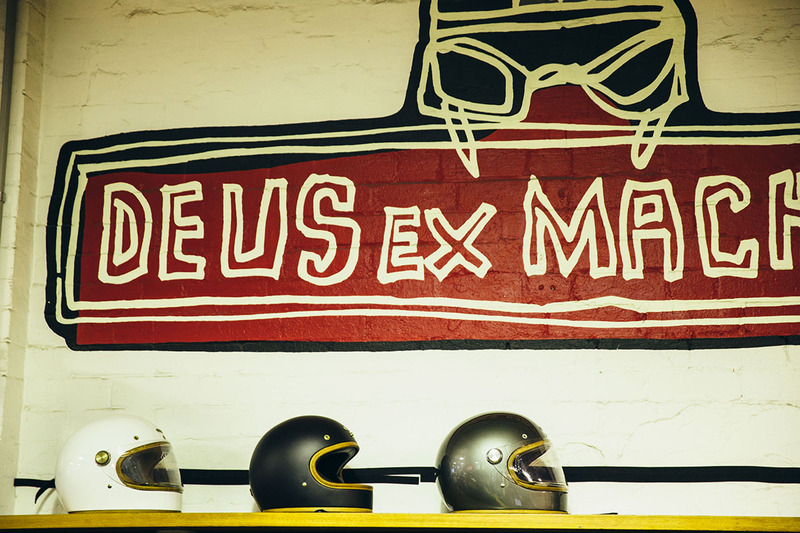 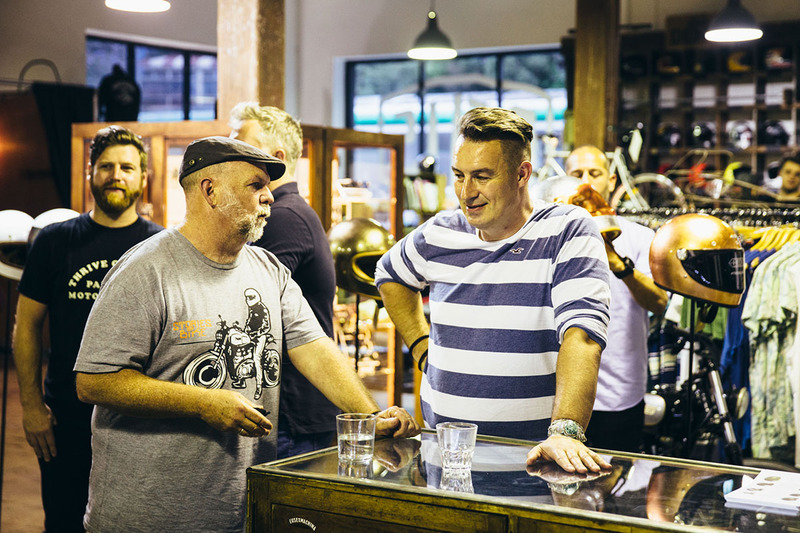 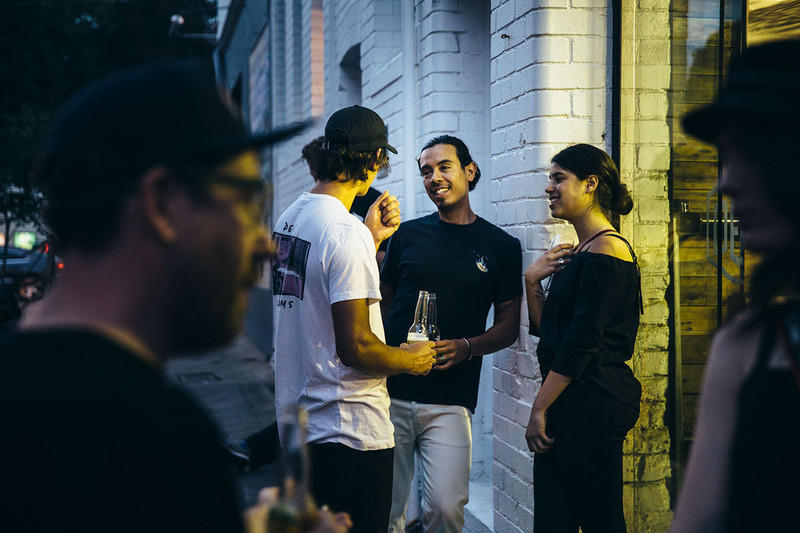 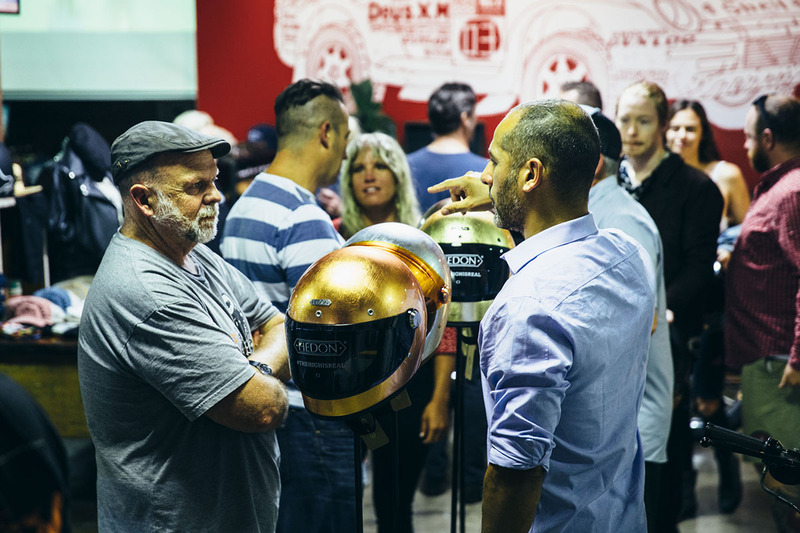 In true hedonistic fashion the event was hosted at Deus Ex Machina Camperdown, with free-flowing drinks and the usual amazing food from the Deus kitchen. 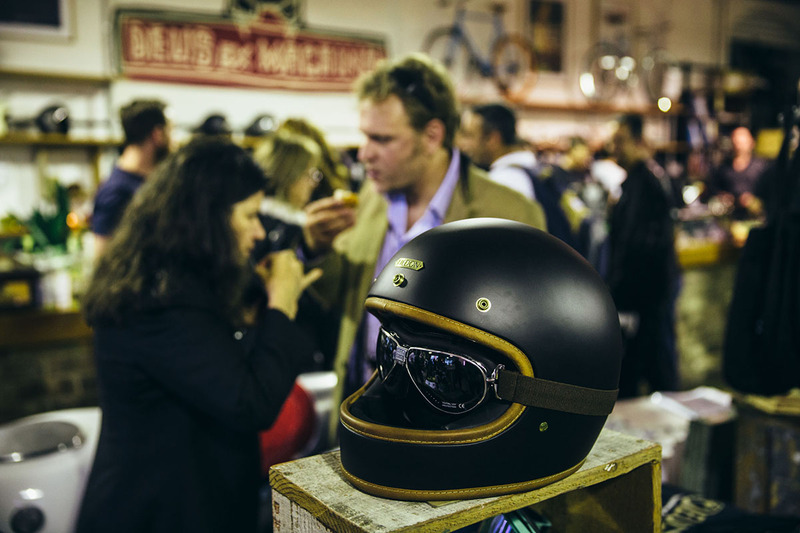 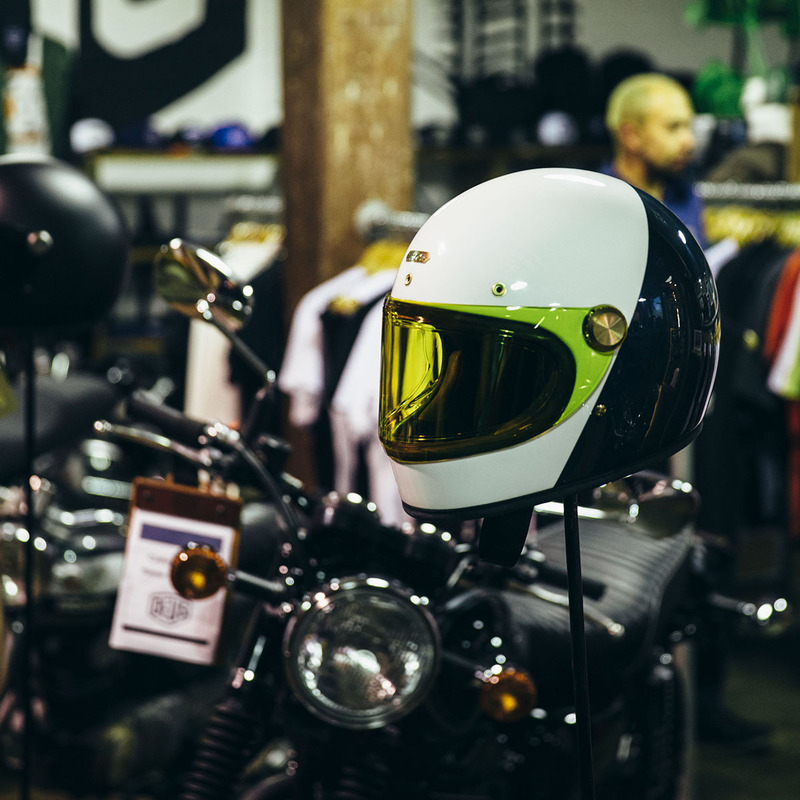 The relentless pursuit for pleasure was in full swing, with dozens of models including their open face helmets on offer for everyone to get up close and personal with. 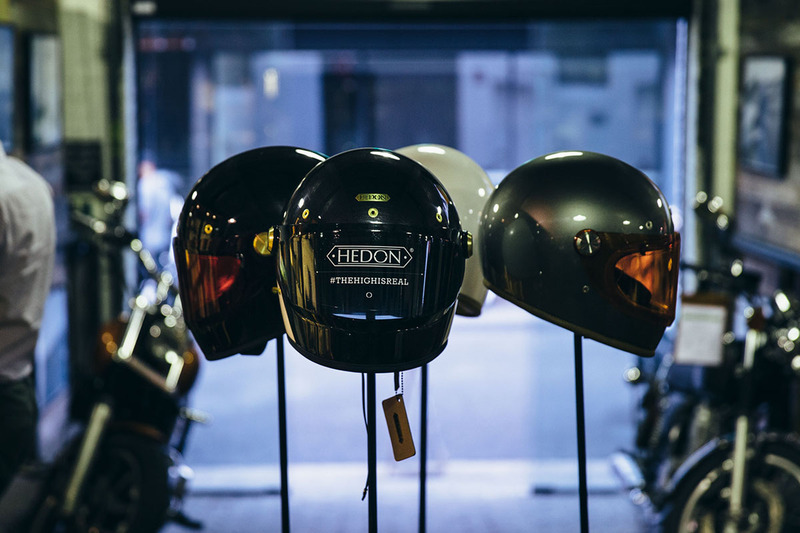 Deus will have these luxurious lids for sale in the Camperdown store now, with more stores to follow after this weekends Sydney Motorcycle Show.